Founded in 1989 by Wayne Fairchild, Lewis & Clark Trail Adventures provides quality outdoor adventure for travelers and recreationists who have imagined the places and sense of wonder described by Lewis and Clark. With that same sense of exploration and discovery, you can paddle the rivers and hike the ancient trails. Paddle with us down the White Cliff Section of the wild and scenic Missouri River. Our journey through one of the most pristine sections of Lewis & Clark's route covers 47 miles over three days. You will enjoy paddling our 17-foot Mad River canoes through the calm and meandering flow of the Missouri River, perfect for the novice to experienced paddlers. On the river, you will have opportunities to paddle next to vertical sandstone cliffs and igneous rock formations, see wildlife, remains of pioneer homesteads, and take many pictures. Our guides are experienced outdoor enthusiasts and knowledgeable historical interpreters. Nestled among giant cottonwoods, our camps are the same sites chosen by the Lewis & Clark expedition two centuries ago. You will appreciate our top quality camping equipment, gourmet camp cuisine, and plenty of fireside discussions. Custom Lewis and Clark trips are our specialty. The ultimate Lewis and Clark trip combines the Missouri River canoe trip with a Lolo Trail hiking or biking trip. Get off the beaten path and walk in the last true remaining footsteps of Lewis & Clark on the Lolo Trail, where little has changed since the expedition crossed this ancient trail. Called Nee-Me-Poo by the Nez Perce, this travel route was used for centuries before Lewis & Clark by Native Americans of the West. We offer hiking, biking and walking tours ranging from 1-day to 3-day adventures, novice to advanced. Experience firsthand why Lewis & Clark described this area as the most challenging yet majestic portion of their journey. Because of the primitive road through this area you will have the opportunity to explore Lewis & Clark camps rarely visited in the last 200 years. 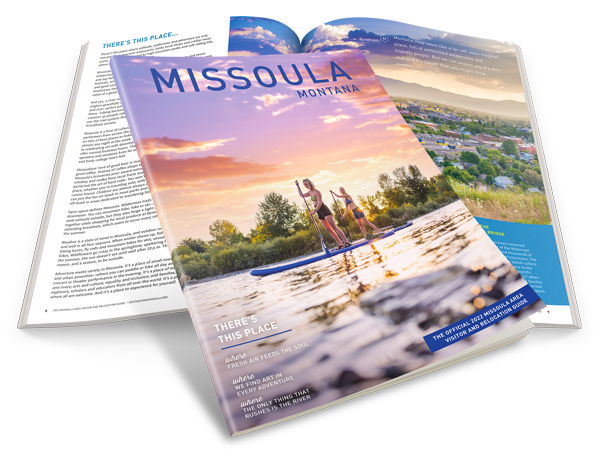 Take a whitewater trip down the Lochsa, Clark Fork or Main Salmon and learn why Lewis and Clark did not chose those waterways. 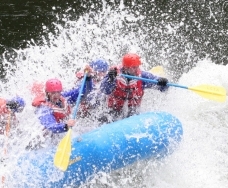 Visit our website at www.trailadventures.com or call our office for more information and to plan your dream adventure. We invite you to join us under the Big Sky!